Have you ever booked a tour with an independent operator expecting to travel with a small group, perhaps in a modern passenger van or small minibus, only to find that the operator has had so many bookings, they have decided to hire a large coach instead? Whilst it’s great for the operator it is not what you paid for right? 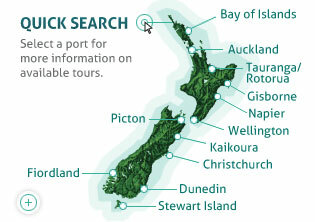 NZ Shore Excursions work only with operators who provide small group personal tours. Our promise to you is that you can expect your tour group will contain no more than 22 passengers on all our full day tours. Most tours will range between 10 -22 passengers per tour group.